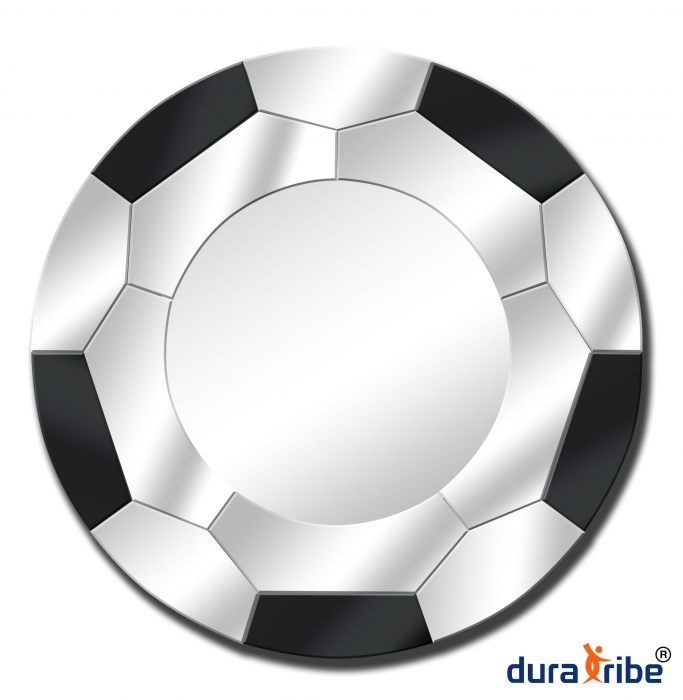 Designer Soccer wall mirror with 80 cm diameter to stand out on any wall of your home. Full bevelled edged reflective glass for safety. Unique round football shape with black and clear reflective mirrors all around.